Keep up the good work, Globe and Mail. 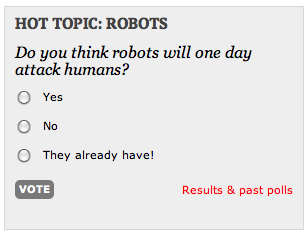 This entry was posted in One-Sentence Wednesdays and tagged globe and mail, poll, robots. Bookmark the permalink.